"Where Your Entertainment Is Our Business"
We cover all types of events from children's parties to large corporate events. Professional, reliable and quality service provided. If you want a disco that plays the music you want to hear at your event we are the choice to make. Our equipment and music is all high quality and our light show has been described as 'impressive to say the least'. We always arrive in plenty of time to ensure that everything is ready the moment your guests start to arrive. Our pre event consultation on all aspects of your celebration from music choice to lighting selection help to make it a night to remember. If you want a disco that cares and is passionate about your event being the best it can be then contact us. We truely are the disco for all occasions. Call us now to discuss your needs. Required by many venues, Harlequin Entertainment has a current PLI policy with Mobile DJ Network in the amount of £10 million. Also required by many venues, Harlequin Entertainment has supplied satisfactory evidence of holding current PAT inspections of their equipment dated within the last 12 months. Why do people choose to book Harlequin Entertainment? I am on a tight budget and they offered the best price, but with good reviews. Difficult choice but he just seemed to be what I needed. "Alan was a fantastic DJ who helped me out for a last minute party for my husbands 40th birthday! He was extremely accomodating, played all of the songs I requested and went out of his way to make sure everything was how I wanted it. Would thoroughly recommend Alan and will definately use him again in the future! Thanks again Alan!! Top DJ!!!" "Thanks for the lovely feedback. It was my pleasure and I think I had as much fun as you guys did. A great night and lovely people." "A very friendly DJ. Alan was always quick to reply to emails and was friendly and helpful. He allowed us to make a playlist and there was always people on the dance floor. Would definitely recommend him!" "Thanks for the kind words. It was a really good wedding reception and a very friendly group of people. I think i actually had as much fun as you guys. Not often i get to indulge my passion for club classics. Thanks again for using us and needadisco." "I would highly recommend Alan to anyone looking to hire a DJ. His communication was fantastic, he arrived with plenty of time to spare and the disco was great. All the kids loved it and said the interaction from him was really good. I will certainly be using Alan next time I need a DJ!!" "Thank you for the kind feedback. It was a good party with lovely kids. An absolute pleasure." "Alan helped to make my party both enjoyable and memorable. He arrived promptly and set up with the minimum of fuss. He engaged well with guests and fulfilled all requests made of him. Thank you Alan I will not hesitate to recommend you to anybody in the future." "So pleased you had a great tome. I had as much fun as the kids i think. Thanks again for using is and needadisco"
"Our experience was amazing. Couldn't be more happier with our choice. Very friendly, likable, helpful, professional. Will definitely keep his number and use him in the future. My daughter and all her friends were very happy. Thank you for an amazing service and wonderful party." "Thanks for the review. I had loads of fun too. Nice group of kids." "Great experience would definitely recommend. Excellent communication, great value for money and brilliant with the kids on the day"
"Thanks for the kind words. Great children and lots of fun. Im glad they enjoyed themselves." "Alan made sure that our daughter's 13th birthday party was a great one. He responded to our emails very fast, was there in time (even before we arrived). He played all her favourite songs, communicated really well with all the girls at the party, getting even the shy ones on the dance floor, provided special UV light that was needed for the glow in the dark effect. Can't fault his service. Fantastic value for money. Thank you again for a fun evening." "I had a great time with a fantastic and lovely group of girls. So glad you had as good a time as I did. " "Everyone loved our Christmas party all thanks to Alan. He entertained everyone and even gave prizes to dance winners. Great touch. Would highly recommend and I will bare him in mind for future events"
"Thanks for the review. We are always pleased when our efforts are appreciated. Great bunch and i hope the mannequin challenge video came out ok."
"Would highly recommend Alan at Harlequin Entertainment, and would definitely use him again for parties in the future! " "Thanks for the kind review. It was a great night with a lot of lovely fun people. Glad everyone enjoyed themselves." 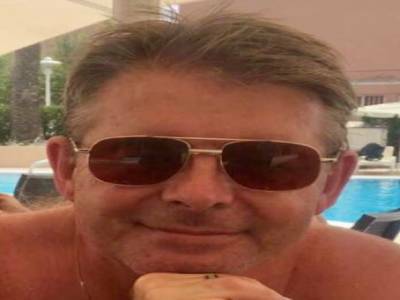 "Alan's communication and organisation was perfect. His sound system was great, he sourced all the songs we requested at high quality (including 80s French pop and modern country) and he worked well with the live three piece band that played. During the disco itself he put on the "rock/punk" half hour as I requested, that included delightful songs that dispersed most of the dance floor but I needed to indulge. He blended the flow of the music perfectly from country to pop to blues, and had the wits to fade out Queens of the Stone Age - Song for the Deaf half way through as it does drag on a bit (and I kind of chose it by drunken accident). I would definitely use Alan again as he provided an excellent service that fit exactly to our needs." "Thanks for the lovely comments. This was a fantastic wedding reception with a really great group of people. One of the best wedding receptions I have done in a while. Thanks for using us and needadisco." "Lovely guy. Helpful and everyone said it was a great disco !" "Thanks for the review. It was a good night and I really enjoyed seeing everyone having fun." "Our DJ for the event on the 5/3/16 was amazing,and we are so happy that we hired Alan for the occassion.The music was great exactly as I wished for my husband\'s 60th.Alan was so good he even gave the little children including our Grandaughter a little trophy for their dancing.Alan was so reassuring in everything.Everybody had a brilliant time and I would certainley have him should another occassion arise.Thank you Alan,and your student you were GREAT.FANTASTIC." "Thank you so much for your lovely review. We had a great time and really enjoyed watching everyone dancing and having a good time. It really was a pleasure. Thanks for using us and needadisco." "Very happy with Alan, who went out of his way to source some quite tricky song choices prior to the event. Very approachable and a nice touch was being able to meet up with him a week or so before the event just to go over things. There were no surprises and he knew exactly what we expected from the event. Great interaction with the kids and would definitely recommend." "Thans for your kind review.Im pleased that you were happy with the service we provided for you. Always a pleasure to see people enjoying themselves. Thanks for using us and needadisco." "Thank you so much Alan for providing the disco for my sons 6th birthday party, (at a weeks notice!) he had an absolute ball! I received really positive feedback from parents who said their child had a fantastic time and they were talking about it in school on Monday! The glow sticks you gave us, were an absolute hit! The kids really enjoyed the party games and the trophies for best Gangnam Style dancer are still on display! I have no hesitation in recommending you for children's birthday parties, and I'm sure I ll be booking you again next year!" "Thanks for the lovely review. I had a great time playing games with the children. Lovely bunch. Thanks for using us and needadisco. I value your positive comments." "Professional, no fuss, easy transaction, friendly, punctual, good value.. Highly recommend." "Thanks for the feedback. Lovely kids and a great party. Thanks again for using us and Needadisco." "AMAZING!! I Cannot thank Alan enough, unfortunately this was for my brothers wake, and it was SO important to us that he had the send off he deserved and that his friends would of wanted for him. Alan took every single request I through at him and made the whole thing completely stress free for me. I couldn't of been happier with the service I received. I would recommend him to anyone and will 100% use him again. Thank you Harlequin entertainment!" "Thank you very much for the kind words. Im deeply touched that you regarded my efforts so highly. Not the bes circumstances to have met over but it was my honour to have provided the disco you wanted for your brother. Thanks for using us and needs disco." "Highly recommend using - very helpful, very friendly, really wanted to make the evening special - really obvious he enjoyed entertaining the guest - communication before the event was first class, really interested in what my son wanted ....... And he delivered - definitely will use again - cant say anything negative as everything was positive - thank you for making my sons evening so special"
"Its always nice to receive positive feedback. This event was really good fun. Great kids who were no afraid to enjoy themselves but were well behaved and polite with it. It was my absolute pleasure to entertain them. Thanks for using us and needadisco"
"Fantastic light show. Alan turned a village hall into an amazing disco! Absolutely brilliant!" "Thanks for the feedback. We love village halls. It takes us back to our roots where we began. Lovely people to work for. Thanks for using us and needadisco." "Alan was fantastic and really gave us value for money and the DHL family fun day was a success due to his input with getting everyone up on the floor i for one will use his services again in next year;s family fun day"
"Thanks for the kind words. We had a great time and really enjoyed ourselves. Lovely company and great people to work with. 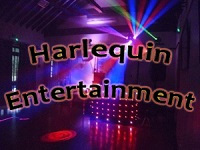 Thanks for using us and needadisco"
Harlequin Entertainment also offers a range of additional party services not directly linked to musical entertainment. You may contact Harlequin Entertainment directly using this form. If you are contacting Harlequin Entertainment about an event, it's always a good idea to include the DATE, LOCATION, EVENT TYPE, AGE GROUP and TIMINGS to speed things up!